This trip targets trophy sized Alligator Gar. We can angle for Alligator Gar anywhere in Texas. I grew up casting for Alligator Gar all over Texas. I’m not a hobby guide or weekend guide, fishing for Alligator Gar is my passion and my life. I know so many spots that if it is not happening in our current spot, I’ll take you to others to make sure I “put you on the fish”. We often hook and land 100lb, 150lb, 200lb plus sized Alligator Gar. A typical day usually consists of landing up to 8 rod and reel caught Alligator Gar & sometimes several more. This is definitely the best way to get your picture with a Texas sized trophy Alligator Gar. All Rod & Reel packages include equipment (let me know if you are a lefty or righty) & fish cleaning. Hunts can be day, night or both. Trips can be extended at customers request! I fish anywhere in Texas. 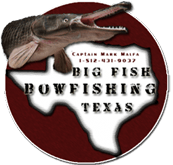 $650.00 for up to 3 individuals and it is only $100.00 more per angler. My boat can hold up to 8 in your party comfortably. These trips are 8 hours long but can last longer for only $50.00 an hour more for each angler. Ride-alongs are $50 each. Deposits are $200.